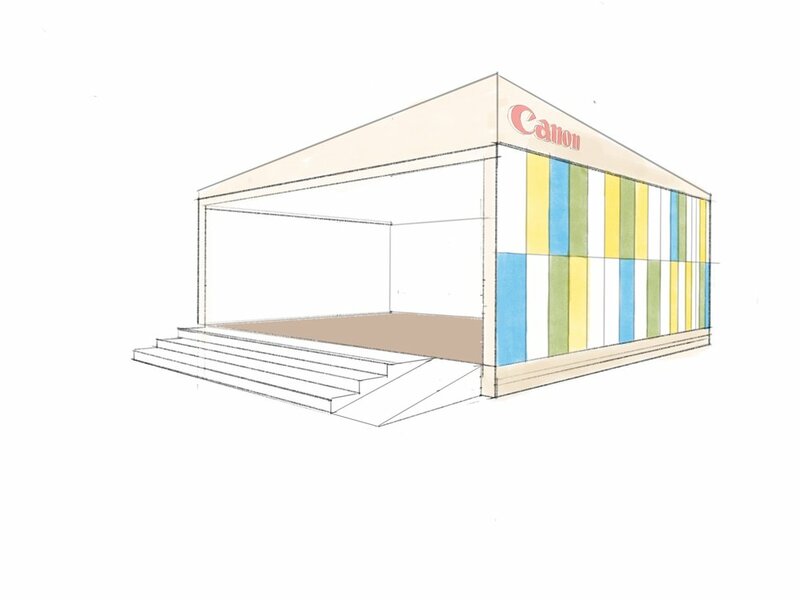 A thorough investigation of Canon’s brand was done in order to create key insights for use in the pop-up design. 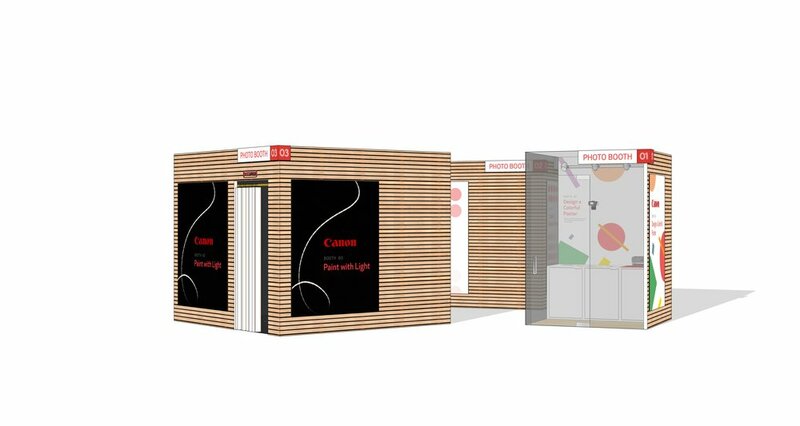 We researched Canon’s history, brand identity, and consumer perspectives, as well as current physical brand applications. Canon is a highly reputable brand with a long legacy of creating cameras and other imaging products. In addition to cameras and lenses, Canon has a large product line-up of printers, software, and accessories, setting themselves apart from major competitors such as Nikon or Sony, targeting both professionals and everyday consumers. Because of its long history and quality products, Canon is seen as a leader in the marketplace. As a brand, Canon has a wide audience and does not necessarily cater to a specific audience. 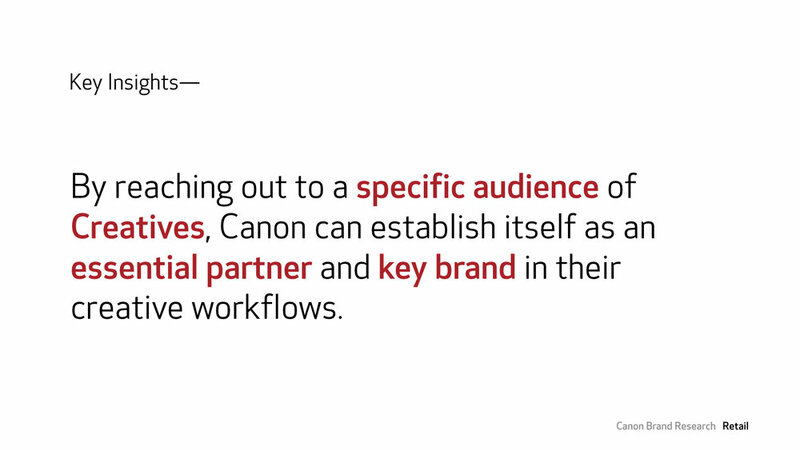 During our research, we found out that one of Canon’s key audiences is creatives—people who use imaging products in their everyday workflows for creative purposes, but who do not necessarily identify themselves as photographers or as Canon’s main audience. 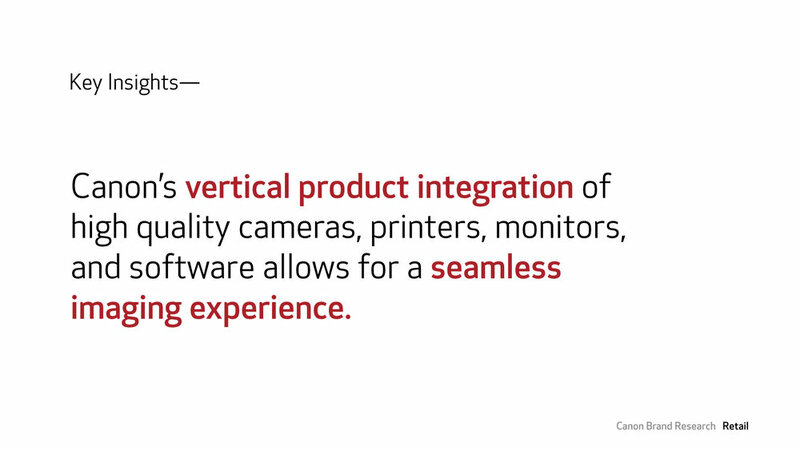 We also identified one of Canon’s key strengths—its wide-ranging ecosystem and product integration. Canon uses technologies so that its products can work together seamlessly; for example, a camera can wirelessly beam an image to a printer. Even though Canon has a variety of different valuable audiences, we found that Canon doesn’t have any targeted marketing or experiences towards creative professionals. Because creative professionals tend to be drawn towards a brand image, I identified this audience as an opportunity to design for, in order to solidify Canon as a forward, creative-driven brand. While creative professionals already rely on Canon products for getting work done, Canon can showcase how its products can fit into a creative’s workflow and inspire creative applications. By creating interactive displays where users can experience creative applications first-hand, Canon can position itself as a partner in enabling creativity. I was initially inspired by the idea of vignettes, both as a photograph object and as a way of organizing ideas. 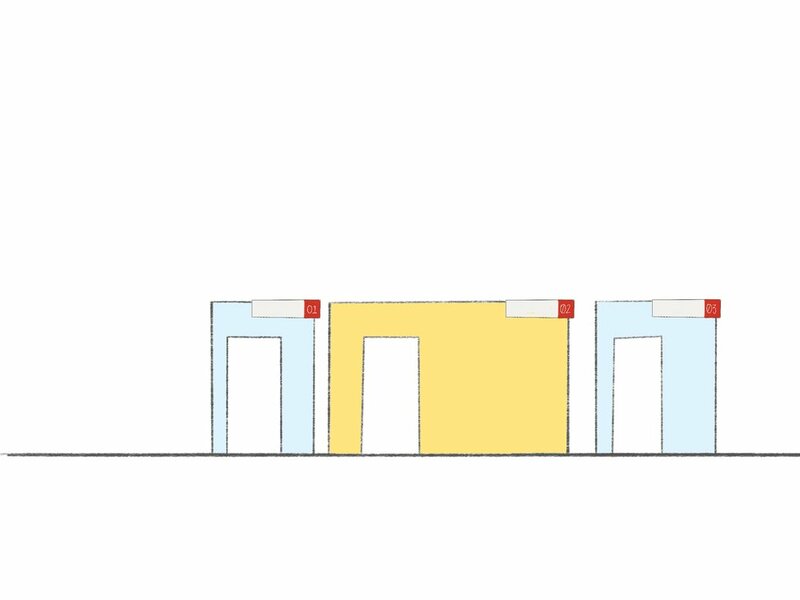 The idea of using vignettes inspired modularity, where the pop-up could be broken up into different sections. For a form, I was drawn to the simple rectangular frame of a photographic vignette. I was ultimately inspired by a classic photo booth. 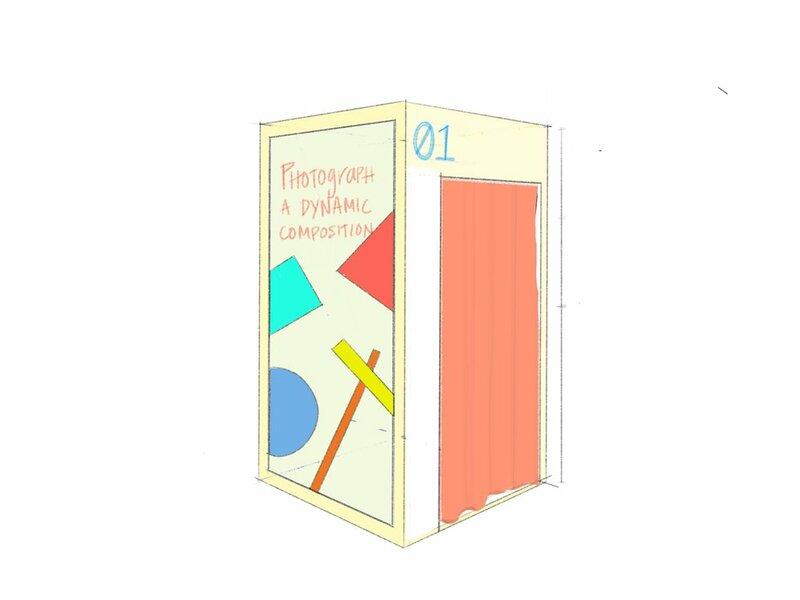 I could create a modular space out of multiple “booths,” and a photo booth conveys the idea of an active space for photography and creative output. 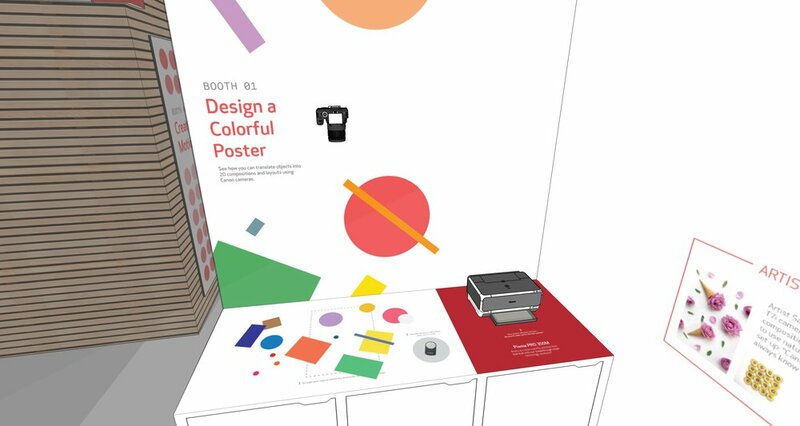 Each “vignette” or activity occupies a booth, a collection of which ultimately becomes the pop-up experience. In deciding how to approach designing the interactions inside one of the booths, I looked for inspiration on how artists and designers were using cameras in interesting ways. I was intrigued by how some graphic designers use photographic techniques to create interesting compositions and posters. I synthesized these techniques with Canon’s ecosystem of products to design an experience where graphic designers and artists can feel empowered to create visual compositions with Canon cameras and accessories. 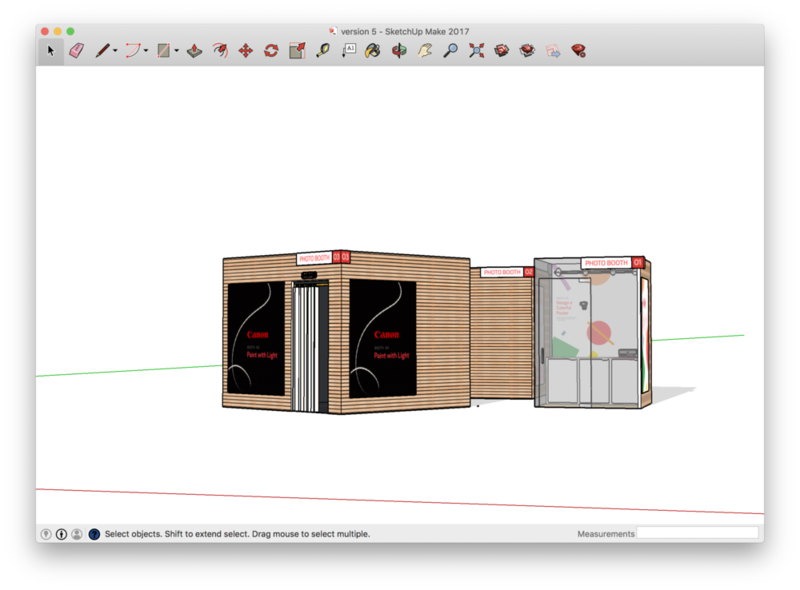 I created an interactive environment using three of Canon’s product ecosystems: cameras, accessories, and printers. 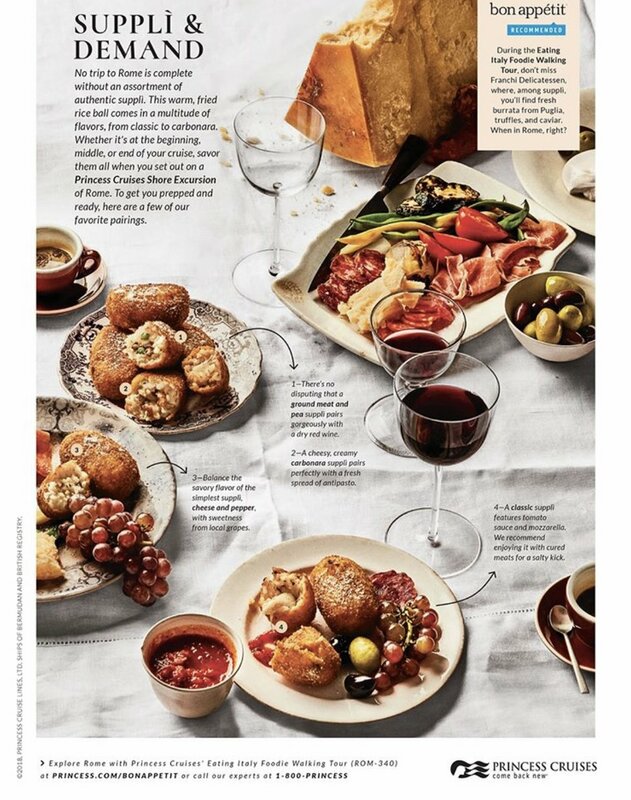 A collection of objects is presented on a surface, where guests can arrange them into a composition, take a photo with a Canon wireless remote, and beam images to the printer, highlighting three separate Canon product families and their seamless use together.